Central brass frame surrounded by rods of glass. 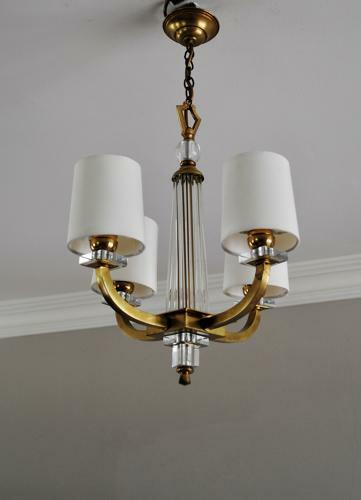 4 brass arms with single bulb holders. Cotton off-white custom made shades.